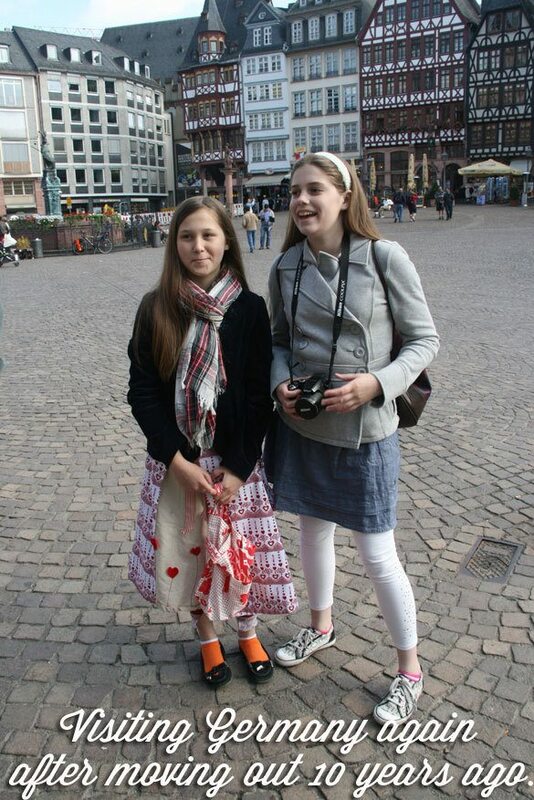 I love this picture of my girls – my middle daughter is saying “I was born in Germany” and my oldest one is teasing her “but you don’t speak any German, I do!” taken from our last trip to Germany after 10 years we moved from there to United States. Now my oldest studies German in Swedish – at her school in Sweden. Our multicultural parenting styles have mixed even more in our nomadic lifestyle of moving from a country to another. Today I’m excited about teaming up with Culture Mom Media, and the author of Parenting Without Borders: Surprising Lessons Parents Around the World Can Teach Us by Christine Gross-Loh and many other great moms to co-host a Twitter party tomorrow about parenting in different cultures and promoting Christine’s new book. Our three children were all born in different countries (in Finland, Germany and USA) and my husband and I were raised very differently affecting our parenting choices. He grew up in a conservative family in Texas, and I grew up in a liberal family in Finland, and I remember when we first started talking about having children, our ideas of what raising children together would be like were as far apart as the geographical locations we were from. Our first discussion about raising children together happened in 1998 and we have come a long way since that. We have developed our own parenting practices that neither of our parents fully approve. I think my in-laws think our kids are being raised by weird Finnish traditions, and my parents think our kids are raised by weird American principles. Nevertheless I kind of think they are proud of us for by doing so many things “wrong” we have somehow managed to raise three very intelligent, creative, tolerant, well-behaved and above all, happy, children. You know what I think? I think there isn’t one best way of raising children in any particular culture, but you as a parent have to make your own choices what’s best for your own child. I also realized that many of the “liberal” ways of Scandinavian parenting were very traditional and “old school,” and oddly many of the “conservative” American ways were actually on the bottom of the list how I wanted to parent my children. It has been very interesting now when we have moved back to Scandinavia. I loved the freedom I had as a child, but after being a mother in the USA it was not easy to move to Sweden and be a mother in this very different culture, where children are given much more freedom to do what they want to and much less supervision and structure. It was easier for me to be the more Scandinavian-style mother when our children were young; I breastfed them all, we co-slept in a family bed, and we started education at home early on with games and riddles but wanted to keep the kids playing as long as possible and after a few months of preschool experience in New York for our first one, none of our children went to preschool. Scandinavian children are taught to be very independent from very early on when it comes to taking care of themselves, and being unsupervised for example. Yet after living in the American culture for years I also realized that maybe some of the basic parenting advice from my own culture wasn’t that good after all. Let’s take “Saturday, candy day” for example. 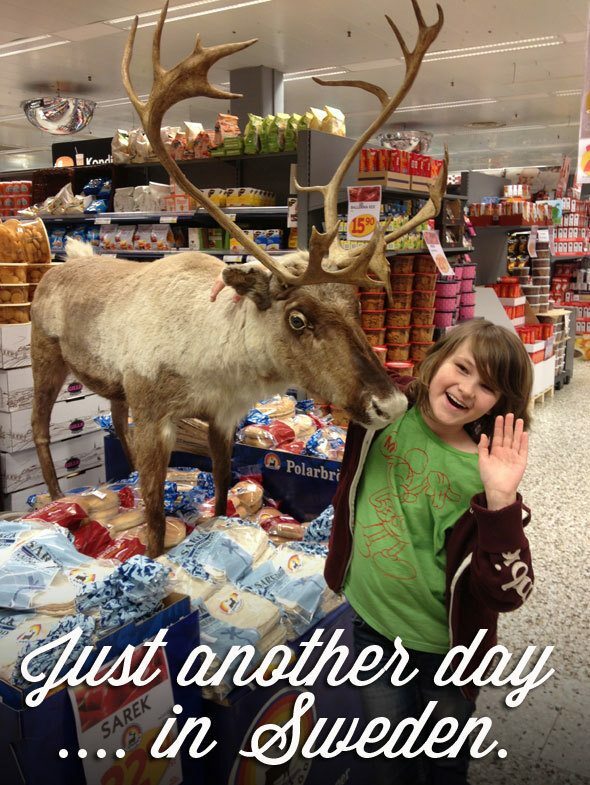 Many Finnish and Swedish kids have a “candy day” on Saturdays and while it’s great: it limits the amount of sweets eaten by the kids and it’s meant for their better health, it also teaches bad eating habits = restraining yourself and then binging. Many Finnish children grow up and they tend to take another weekday habit, called “a Friday bottle” – where the Saturday sweets-eating has turned into binge alcohol-drinking on Fridays. It shocks people here that we don’t believe in a candy day, and let kids eat candy when they want. The real shocker is that they are educated enough and probably eat less candy each week than an average Finnish or Swedish kid on an average Saturday. There are so many different ways of parenting, and I do believe that it benefits every parent to learn more from other cultures and from other perspectives to ultimately make the best decisions. Join us for Twitter chat! Please join us for a Twitter chat on today Thursday May 2nd 9PM EST. How to build our own global village and answer the universal question: What is best for our children? Do you ever compare your parenting skills to others? Are you one of those people who pays close attention to how parents around the world are parenting differently? Are you surprised to hear when different skills from across the globe can help or transform your own? We’re thrilled to be teaming up with the author of Parenting Without Borders: Surprising Lessons Parents Around the World Can Teach Us by Christine Gross-Loh. 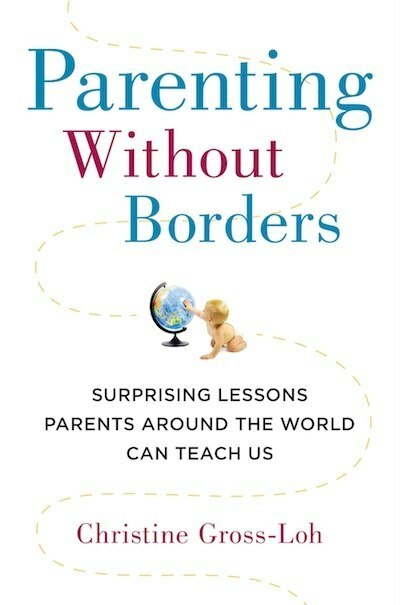 In her book, she takes readers on a multicultural tour of the world’s best parenting practices – from Finland, Sweden and Germany to France, Japan, China, Italy and beyond to examine how international parents successfully foster creativity, discipline, independence, resilience and academic excellence in their children. During this party, we’ll get right to the heart of and dissect the matters we care most about when it comes to raising children: life skills, eating habits, manners, expectations, mom guilt, sleeping and our obsessions with praise (too much? not enough?). We’ll learn what we’re doing right and what we’re possibly doing wrong, and we’ll all certainly come away with a new slate of practices and goals. Please RSVP here and talk to you on Twitter at 9pm EST on Thursday night at hashtag #ParentingWOB. Talk to you soon! I just came across your post tonight- loved it! I am also reading Christine’s great book at the moment and have been fascinated reading about Japanese and Swedish parenting especially. I recognize that pic of the old town in Frankfurt, where my oldest daughter was born too! Both of my kids very much identify with Germany, even though the youngest was born in the US. They still have family there and seeing their new cousin ranks among their highest priorities in life! I am curious to see if as they get older, they will want to study German. For now, they learn Arabic (their dad’s language) and Spanish (one of my languages). Also since you’re Finnish, did you check out the BBC article on Finnish Babies sleeping in boxes? Bet you would enjoy it! You are going to be a wonderful moderator tonight – I can’t wait to hear your thoughts. Thanks so much for writing this fascinating post! I was so excited when Holly contacted me and told me about your book and the Twitter chat – perfect topic for me to be part of! You are certainly an expert on this topic! Can’t wait to chat tonight and hear more. Looking forward of the chat!